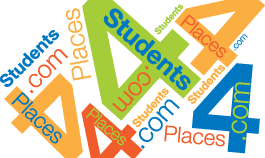 The information provided on the online housing service, places4students.com, has been provided by private landlords not associated with NSCC. The accommodations have not been inspected by NSCC and NSCC makes no representation as to the accuracy of the information posted or the suitability of the accommodation for student use. NSCC assumes no responsibility in regard to any lease made with the landlord or any arrangements made by students sharing the accommodation. Students are advised to meet with the owner and inspect the premises before signing a lease.